Monday, June 16th, 2014: 1. Do Now: Ask Ms. Conn anything about any of the following subjects (or another topic of interest): college life, English courses in college, job opportunities, what to expect in college, how to improve your writing for college, etc. Kamal, Joy, Jocelyn, Jeffrey, Isaiah, Ian, Franco, Alam and Alfonso How can we effectively present our graduation speech presentations? YOU MUST BRING YOUR GRADING RUBRIC ON THE DAY YOU PRESENT IN ORDER TO BE GRADED! DUE THE WEEK OF JUNE 9-13th: GRADUATION SPEECH: You will be writing your own graduation speech, which is worth 50% of the 3rd marking period. See the sample graduation speeches to guide you, since you will be following their formats (we will discuss all of the components of a graduation speech in class). Refer to the grading rubric--Graduation Speech Grading Rubric for requirements. Samiul, Onatah, Maria, Martin, Mohammed, Lesley, Kunaal, Kiara and Aldwyn How can we effectively present our graduation speech presentations? Travis, Tiffany, Tracy, Shane, Samiul and Santiago How can we effectively present our graduation speech presentations? FYI: MS. CONN WILL LIKELY NOT BE IN SCHOOL ON FRIDAY, JUNE 13th, SO THE STUDENTS SCHEDULED FOR PRESENTATIONS ON THAT DAY SHOULD BE READY TO PRESENT ON ANOTHER DAY DURING THE WEEK. Work on graduation speech composition (follow the grading rubric: Graduation Speech Grading Rubric for requirements). Shakespearean puzzle How can we prepare for our graduation speech presentations? None. Rest, Relax, Rejuvenate and Read for pleasure! Monday, June 2nd, 2014: Film viewing of Forrest Gump How can we acquire life lessons from Forrest Gump? None. Rest, Relax, Rejuvenate and Read for pleasure! Friday, May 30th, 2014: Film viewing of Forrest Gump How can we acquire life lessons from Forrest Gump? None. Rest, Relax, Rejuvenate and Read for pleasure! Thursday, May 29th, 2014: 1. Do Now: Read the first speech from the sample graduation speeches. 2. Go over the Graduation Speech Grading Rubric for requirements. How can we understand the requirements for the graduation speech? None. Rest, Relax, Rejuvenate and Read for pleasure! 2. Watch Forrest Gump How can we acquire life lessons from poetry, words of wisdom and film? None. Rest, Relax, Rejuvenate and Read for pleasure! Tuesday, May 27th, 2014: SCHOOL-WIDE ENGLISH EXAM (ASSESSING COLLEGE READINESS) How can we prove our college readiness? None. Rest, Relax, Rejuvenate and Read for pleasure! Friday, May 23rd, 2014: 1. Do Now: View the classic film: Forrest Gump. "You can always tell about people by their shoes--where they're going and where they've been." 2. Discuss/Reflect How can we analyze life lessons from Forrest Gump and apply them to our own lives? None. Rest, Relax, Rejuvenate and Read for pleasure! THIS COMING TUESDAY, MAY 27th WILL BE THE SCHOOL-WIDE ENGLISH EXAM. It will test your college readiness. The exam will only have multiple-choice questions that will test your reading comprehension and grammar skills. Please bring a #2 pencil. This exam will count about 20% of your 3rd marking period (the exam will likely be curved). Thursday, May 22nd, 2014: 1. Do Now: View the classic film: Forrest Gump. Wednesday, May 21st, 2014: 1. Do Now: View the classic film: The Warriors. 2. Discuss/Reflect How can we analyze The Warriors, a classic 1979 film, and compare/contrast to modern-day films that portray gangs in New York City? None. Rest, Relax, Rejuvenate and Read for pleasure! Tuesday, May 20th, 2014: 1. Do Now: View the classic film: The Warriors. Monday, May 19th, 2014: 1. Do Now: Finish viewing The Reduced Shakespeare Company: The Complete Works of William Shakespeare (abridged). 2. View the classic film: The Warriors. 3. Discuss/Reflect How can we analyze The Warriors, a classic 1979 film, and compare/contrast to modern-day films that portray gangs in New York City? None. Rest, Relax, Rejuvenate and Read for pleasure! 2. Discuss/Reflect How can we view and interpret a condensed version of all of Shakespeare's plays? None. Rest, Relax, Rejuvenate and Read for pleasure! Coach John Wooden: "Never be late. Don't use profanity. Never criticize a teammate. Have patience. There's no progress without change. Believe that things will be better." Shawn Achor: Change the lens with which you view reality. 90% of your long-term happiness is determined by your perceptions." Steve Jobs: "Sometimes life will hit you in the face with a brick; don't lose faith. The only way to do great work is to love what you do. Believe that the dots will connect later. Your time is limited, so don't waste it living someone else's life. If today were the last day of your life, would you want to do what you're about to do today? Keep looking; don't settle. Stay hungry; stay foolish." How can Ted.com talks teach us about pursuing success and happiness? None. Rest, Relax, Rejuvenate and Read for pleasure! 2. Watch Ted Talk on Happiness by Shawn Achor How can Ted.com talks teach us about pursuing success and happiness? None. Rest, Relax, Rejuvenate and Read for pleasure! Monday, May 12th, 2014: 1. Do Now: Reflections on the AP ENGLISH LITERATURE EXAM. See the essay questions HERE. 2. Voting on the top three of the 100 greatest films of all time. How can we effectively prepare for film analysis? None. Rest, Relax, Rejuvenate and Read for pleasure! Friday, May 9th, 2014: 1. Do Now: Reflections on the AP ENGLISH LITERATURE EXAM. Did it meet your expectations? What were your strengths? What was challenging? What went well? 2. Voting on activities/grading opportunities. Suggestions: films & discussion, watch one of the 100 greatest films of all time, acting/writing your own plays, debate current events, book clubs, etc. What would you like to do in this class for the rest of the year? Let's vote! Return the AP preparatory book. How can we effectively relax and rejuvenate? None. Rest, Relax, Rejuvenate and Read for pleasure! Thursday, May 8th, 2014: AP ENGLISH LITERATURE EXAM How can we effectively take the AP English Literature Exam? Return the AP preparatory book tomorrow! Be ready to share what you'd like to do for the 3rd marking period! 2. Final questions, reminders and paper distributions How can we effectively prepare for the AP English Literature Exam? REVIEW NOTES FROM WORKS OF LITERATURE STUDIED THIS YEAR. SCROLL DOWN AND YOU WILL SEE LINKS TO NOTES. AP ENGLISH LITERATURE EXAM IS TOMORROW, THURSDAY, MAY 8th! BEST OF LUCK TO ALL OF YOU!! What should I do the night before (Wednesday night, May 7th) and the morning of the AP English Literature Exam (Thursday, May 8th)? Eat a hearty, nutritious dinner (don't eat/drink too much sugar or caffeine) and go to sleep early. Relax. Watch a movie or play a game. Then, find a quiet spot and go through your notebook, review sheets, exam notes, study guides and details of the full-length novels/plays that you might write about in the free-response essay. Sleep well! Get up VERY early, enough time to get to school. Wear comfortable clothing and extra layers (a sweater/long-sleeve shirt in case the room temperature changes). Come to Room 232 for breakfast (bagels and cream cheese, bananas, muffins, and/or juice) and moral support at 7-7:30am. Turn OFF all electronic devices. Go to the assigned room (TBA) for the exam (EXAM STARTS AT 8AM, promptly!). Do not stress. Remind yourself that you have prepared thoroughly and that this test is a great challenge and opportunity you have been given, due to your hard work throughout high school. Be confident and proud of yourself, and you will succeed. It's your time to shine! What should I bring to the exam (Thursday, May 8th)? Student ID, several pencils with erasers, several black pens (black ink is easier to read than other colors), a watch, something to drink (water is best), a quiet snack for the break (like lifesavers or mints), and tissues. How come we haven't figured out what score range we fall into (i.e. 1, 2, 3, 4 or 5)? The total score ranges each year, as it is based on a variety of items including: AP distribution over the past three years, comparability studies, frequency distributions of scores on each section and the essays, and average scores on each exam section and essays. Though, to be a candidate for a 3 or higher, you need to get at least 1/2 of the multiple-choice questions correct. You CAN AND SHOULD answer all questions (remember, the AP English Literature Exam NOW does NOT take points off for wrong answers!). Keep that mind! Also, your essays must be strong, addressing the question thoroughly, with sophisticated language and thoughtful insight. YOU NEED STRONG VOCABULARY ON THE AP ENGLISH LITERATURE EXAM! Here's a link to the VOCABULARY. Check out AP English Teacher's Resource Page. 6. Poetry Selections: "The Eagle" by Alfred Lord Tennyson, Victorian poet (1809-1892) (p. 649), "Kitchenette Building" by Gwendolyn Brooks African-American writer (1917-2000) from Chicago, (pp. 660-661), "Mirror" by Sylvia Plath, American poet (1932-1963) from Massachusetts, (p. 681), "There is No Frigate like a Book" by Emily Dickinson, American poet (1830-1886) from Amherst, Massachusetts, (pp. 686-687), "The Road Not Taken" by Robert Frost, American poet (1874-1963), born in San Francisco, CA, though lived mostly in Massachusetts, (pp. 734-735), "A Noiseless Patient Spider" by Walt Whitman, American poet (1819-1892), raised in Huntington, Long Island and Brooklyn, (pp. 736-737), "The Sick Rose" by William Blake, English poet, painter and printmaker (1757-1827), (pp. 737-739), and "Out, Out--" by Robert Frost, American poet (1874-1963), born in San Francisco, CA, though lived mostly in Massachusetts, (pp. 779-781). AP ENGLISH LITERATURE EXAM--TOMORROW, THURSDAY, MAY 8th! BEST OF LUCK TO ALL OF YOU! 3. HW reminders and paper distributions How can we effectively prepare for the AP English Literature Exam? REVIEW NOTES FROM WORKS OF LITERATURE STUDIED THIS YEAR. SCROLL DOWN AND YOU WILL SEE LINKS TO NOTES. PLEASE E-MAIL ME IF YOU'D LIKE TO HAVE ONE-ON-ONE REVIEW/ASSISTANCE WITH AP ENGLISH EXAM PREPARATION. I AM AVAILABLE PERIODS, 4, 5 OR 8. AP ENGLISH LITERATURE EXAM IS THIS THURSDAY, MAY 8th!! AP ENGLISH LITERATURE EXAM--THURSDAY, MAY 8th! Monday, May 5th, 2014: 1. Do Now: Fill in the AP exam bubble sheet. REVIEW NOTES FROM WORKS OF LITERATURE STUDIED THIS YEAR. SCROLL DOWN AND YOU WILL SEE LINKS TO NOTES. AP ENGLISH LITERATURE EXAM IS ON THURSDAY, MAY 8th!! AP ENGLISH LITERATURE EXAM IS ON THURSDAY, MAY 8th. 2. Finish review of The Kite Runner Notes. 3. HW Reminders/Return The Kite Runner books How can we effectively prepare for the AP prose-passage and free-response essays? PLEASE E-MAIL ME THE LINKS TO YOUR BLOG/WEBSITE BEFORE YOU PRESENT TO THE CLASS. Create a two-page AP English Literature Exam review guide on your assigned section (multiple-choice, essay #1 (PROSE PASSAGE), essay #2 (POEM(s)) or essay #3 (FREE-RESPONSE)). You must have an analytical focus (you decide which literary elements are appropriate or most important for your section; refer to the AP preparatory book, old exams, practice material given in class and do your own research) and a thematic focus (what are the main ideas/strategies of that section? Don't be specific to one AP exam. Instead, express what all exams are trying to communicate for your particular section). Post your review guide online (in a blog or other public format for all to see) and send me the link or power point. Be ready to present your review guide to the class. You will have to know your material well. Don't stare at the screen (yes, we will have a projector in class so that you can effectively present) or your notes. This will be the value of a PROJECT/PRESENTATION grade, about 50% of your 3rd marking period! You will work in a group of three! See your chosen group members below and assigned section; #1-3 will present the multiple-choice question section on TUESDAY, APRIL 29th; #4-6 will present essay question #1 (the prose passage) on Wednesday, April 30th; #7-9 will present essay question #2 (the poem(s)) on Thursday, MAY 1st; #10-11 will present essay question #3 (free response) on Thursday, May 1st. Each group will be graded on this Speech Presentation Rubric. *You do not need to print out your review guide. You will just need to post it online. Though, make sure that, if transferred to a word document, it appears as two pages of writing, in a double-spaced format. You can add graphics in a different format than our previous study guides since it needs to be appealing to the public eye. Of course, the content is what matters! You need to gather the essential criteria, in an analytical and thematic focus, for your particular section. Continue to review your AP materials! Read for pleasure and challenge; an agile mind is a mind in good shape for the AP exam and for college! Here's a link to the VOCABULARY! After The Kite Runner, you will get to choose which novel you'd like to end the school year reading: The Metamorphosis by Franz Kafka OR The Awakening by Kate Chopin. The novels will be given out after spring break; you will choose one. THE DUE DATE IS TBD. Review VOCABULARY to improve your chances of a passing AP exam score! 2. Review The Kite Runner Notes. 3. HW Reminders How can we effectively prepare for the AP multiple-choice questions section and free-response essay? BRING IN THE KITE RUNNER TOMORROW SO WE CAN ENGAGE IN DISCUSSION. PLEASE E-MAIL ME THE LINKS TO YOUR BLOG/WEBSITE BEFORE YOU PRESENT TO THE CLASS. Monday, April 28th, 2014: 1. Do Now: Read "First they came for..." poem to commemorate Holocaust Remembrance Day. 3. HW Reminders How can we effectively prepare for the AP free-response essay? BRING IN THE KITE RUNNER TOMORROW SO WE CAN ENGAGE IN DISCUSSION. Friday, April 25th, 2014: 1. Do Now: Finish review of midterm questions/answers 1-11. 3. Begin discussion on The Kite Runner Notes. How can we effectively practice multiple-choice question strategies? BRING IN THE KITE RUNNER ON MONDAY SO WE CAN ENGAGE IN DISCUSSION. 2. Review midterm questions/answers 1-11. How can we effectively practice multiple-choice question strategies? BRING IN THE KITE RUNNER TOMORROW SO WE CAN ENGAGE IN DISCUSSION. Wednesday, April 23rd, 2014 (Shakespeare's birthday! ): 1. Do Now: Share your favorite things about William Shakespeare! Have cookies on his birthday! QUIZ (short answers; about 10% of 2nd marking period) will be given on The Kite Runner. Details of what to study will include the following: characterization of Amir, Hassan, Baba, Rahim Khan, Ali, Sohrab, Soraya, Assef; the influence of sin, guilt and prejudice throughout the novel as a whole; relationships between the characters previously mentioned; major events in the plot (exposition, rising action, climax, and resolution), the influence/evidence of flashback, foreshadowing and point of view. Be able to answer the following questions: How does alienation play a significant role in The Kite Runner? What are societal expectations for major characters in The Kite Runner: Amir, Hassan, Ali, Baba, and Soraya? How do you apply self-determination? Identify and explain how a character in The Kite Runner applies self-determination. After The Kite Runner, you will get to choose which novel you'd like to end the school year reading: The Metamorphosis by Franz Kafka OR The Awakening by Kate Chopin. The novels will be given out after spring break; you will choose one. You will have to read your chosen novel by Friday, May 2nd. PROJECT/PRESENTATION, which will be about 50% of your 2nd marking period! You will work in a group of three! You will have chosen group members and an assigned section from the AP English Literature Exam. Presentation days will be April 29th, April 30th, and May 1st. Details will be posted after spring break. Friday, April 11th, 2014: 1. Vacation HW Reviewed. VOCABULARY BEE!! Review all of the VOCABULARY LISTS from the 1st semester and compete in a vocabulary competition tomorrow (while also improving your vocabulary for the AP exam and college!). The top three winners will earn up to 20 points on the midterm exam's grade! Wednesday, April 9th, 2014: 1. Finish discussion on One Flew Over the Cuckoo's Nest: Chief Bromden (Narrator)-smart, shrewd, and perceptive (p. 10), Nurse Ratched-tough, feared, godlike (p. 11), loss of free will (pp. 12-13), patients as puppets (p. 15), Chief (Narrator) befriends reader (p. 15), McMurphy--the rebel--uses laughter, language and confidence as his rebellion against societal oppression (pp. 16-17), dictatorship and spies among the patients (p. 19), dehumanization (p. 20), cliques/class structure (p. 21), McMurphy exerting his leadership skills (p. 24), McMurphy vs. Big Nurse (p. 30), the factory-like setting (pp. 38-39), dehumanizing/desensitizing language (p. 41), Big Nurse=Big Brother (1984 reference to the government) (p. 42), society determines sanity and insanity (p. 48), sins revealed (p. 49), brainwashing for 'good' (p. 56), sexual innuendos and emasculation (p. 57), godlike portrayal of Nurse Ratched (p. 58), "victims of a matriarchy" (p. 59), people's roles in society (pp. 60-61), the dehumanization of technology (p. 65), anti-hero (McMurphy) vs. heroine (Nurse) (p. 67), Nurse as godlike and in charge of time (pp. 70-71), rules and laws without reason (pp. 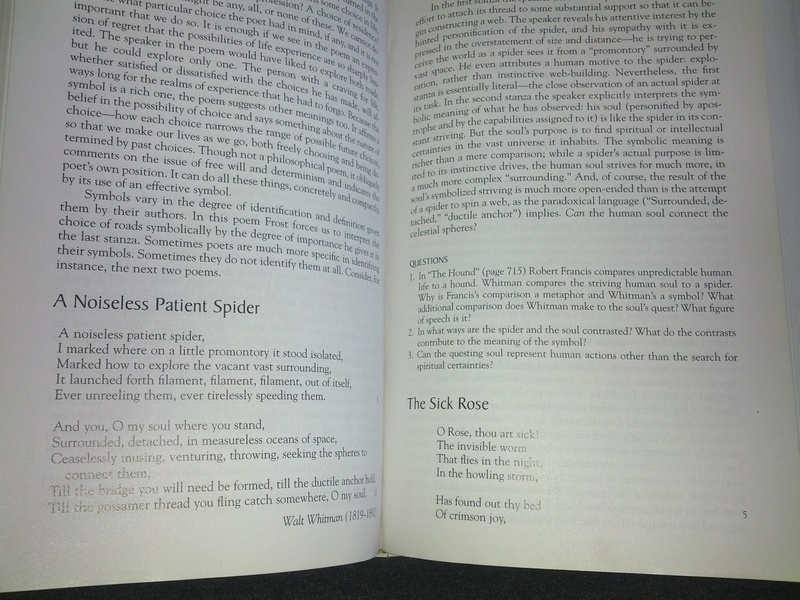 85, 87), Nurse as sweet-talking manipulator (p. 95), the everlasting power of Nurse (p. 101), McMurphy, the laughing rule-breaker (p. 104), apathy among the patients (pp. 106-107), the insane asylum as a safe haven (p. 114), life is a roller coaster--there will be highs and lows (p. 115), fog=symbol of keeping the masses ignorant (p. 117), destroy/remove the threat--McMurphy (p. 118), dehumanization in the fog--keeping the masses blind to reality (p. 122), masses unite in revolution (pp. 124, 128), reverse psychology--masses revolt against the rebel (p. 133), emasculation of McMurphy (p. 136), McMurphy humanizes the patients (p. 139), distorted reality (p. 141), punishment for rebelling=death (p. 151), Nurse's kindness and physical touch=manipulation (p. 153), well-oiled machine of routines (p. 156), revelation of voluntary patients (p. 167), McMurphy's breaking of glass=symbolism and threat (p. 173), masculine strength and authority=basketball, fishing and sexualizing women (pp. 176-177), the influence of stereotypes (pp. 178-179), discomfort in reality without order/routine (p. 199), McMurphy's motives put in question (pp. 222-223), McMurphy gets electroshock therapy--deflating his status (pp. 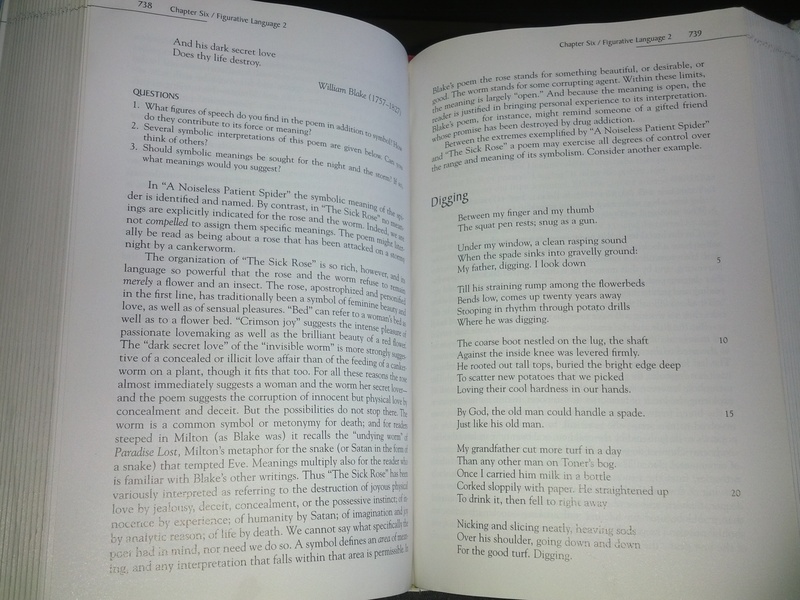 242-243), McMurphy plans Billy's sexual tryst (p. 247), drunken party-rebellion against discipline (pp. 254-255), Nurse discovers Billy's encounter and shames him (pp. 263-264), Billy's suicide discovered (p. 266), McMurphy sexualizes and attempts to kill Nurse (p. 267), McMurphy's lobotomy (p. 269), Chief kills McMurphy to save him (p. 270), Chief escapes the insane asylum and wants to save others, but realizes he can only save himself (p. 271). Tuesday, April 8th, 2014: 1. Discussion on at least half of the following points on One Flew Over the Cuckoo's Nest: Chief Bromden (Narrator)-smart, shrewd, and perceptive (p. 10), Nurse Ratched-tough, feared, godlike (p. 11), loss of free will (pp. 12-13), patients as puppets (p. 15), Chief (Narrator) befriends reader (p. 15), McMurphy--the rebel--uses laughter, language and confidence as his rebellion against societal oppression (pp. 16-17), dictatorship and spies among the patients (p. 19), dehumanization (p. 20), cliques/class structure (p. 21), McMurphy exerting his leadership skills (p. 24), McMurphy vs. Big Nurse (p. 30), the factory-like setting (pp. 38-39), dehumanizing/desensitizing language (p. 41), Big Nurse=Big Brother (1984 reference to the government) (p. 42), society determines sanity and insanity (p. 48), sins revealed (p. 49), brainwashing for 'good' (p. 56), sexual innuendos and emasculation (p. 57), godlike portrayal of Nurse Ratched (p. 58), "victims of a matriarchy" (p. 59), people's roles in society (pp. 60-61), the dehumanization of technology (p. 65), anti-hero (McMurphy) vs. heroine (Nurse) (p. 67), Nurse as godlike and in charge of time (pp. 70-71), rules and laws without reason (pp. 85, 87), Nurse as sweet-talking manipulator (p. 95), the everlasting power of Nurse (p. 101), McMurphy, the laughing rule-breaker (p. 104), apathy among the patients (pp. 106-107), the insane asylum as a safe haven (p. 114), life is a roller coaster--there will be highs and lows (p. 115), fog=symbol of keeping the masses ignorant (p. 117), destroy/remove the threat--McMurphy (p. 118), dehumanization in the fog--keeping the masses blind to reality (p. 122), masses unite in revolution (pp. 124, 128), reverse psychology--masses revolt against the rebel (p. 133), emasculation of McMurphy (p. 136). DUE TOMORROW, WEDNESDAY (APRIL 9th), PLEASE BRING ONE FLEW OVER THE CUCKOO'S NEST. NOTE TO STUDENTS WHO FAILED THE FIRST MARKING PERIOD: You MUST turn in owed homework from the 1st marking period if you expect to pass this class and graduate in June. NO AP Student should have a "0" for an assignment. WEDNESDAY (APRIL 9th), PLEASE BRING ONE FLEW OVER THE CUCKOO'S NEST. Were there any epiphanies from the small discussion groups? Did any new questions arise from the discussion questions? Is there a new discussion question that you'd like to pose? 2. The Picture of Dorian Gray: Importance of public persona (p. 4), happiness dependent on others (p. 11), obsession (p. 12-13), the purpose of art vs. art for art's sake (p. 13), appearances are deceiving (p. 18), the influence of temptation (p. 21), Beauty vs. Genius (p. 24), Youth vs. Aging (p. 27-29), cynicism toward marriage (p. 51), misogyny (p. 51), Shakespearean references (both women dress up as men, p. 55), Dorian's obsession with the appearances of Sibyl (p. 59), jealousy/obsession associated with the painting that doesn't age (thing; p. 60), obsession/enslavement with appearances (p. 71), foreshadowing of violence/murder (p. 75), anti-marriage sentiments (p. 77-78), Acting vs. Reality (p. 90; Sibyl's doomed acting performance), death of love (p. 91; Dorian falling out of love with Sibyl), Dorian's cruelty (evidence on his painting, p. 94), Sibyl's suicide (p. 102-103; is suicide selfish? 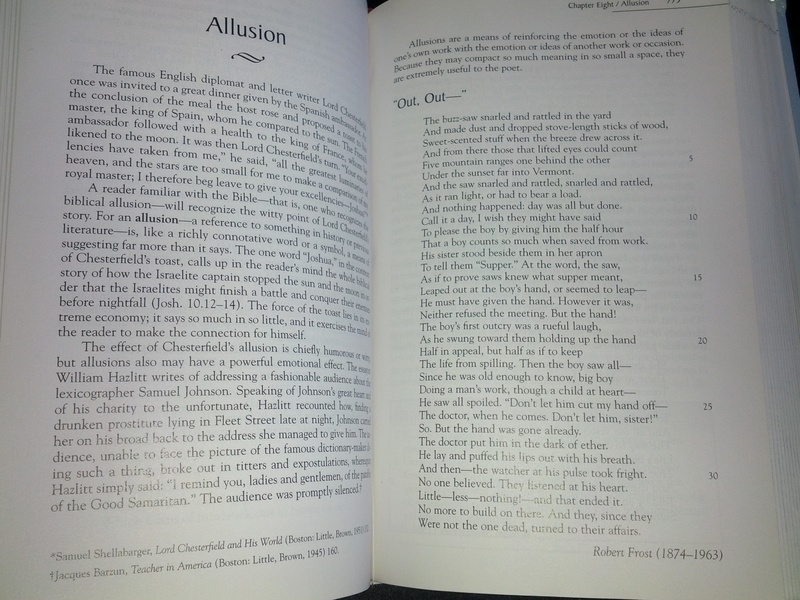 ), obsession with fantasy (p. 107; Sibyl's roles were the allure to Dorian), suppression of emotions (p. 112), internal sins revealed (the portrait reveals internal sins; p. 123), How can we effectively prepare for the AP free-response essay portion and the multiple-choice question section of the exam? MONDAY (APRIL 7th), PLEASE BRING IN BOTH NOVELS: THE PICTURE OF DORIAN GRAY AND ONE FLEW OVER THE CUCKOO'S NEST. WE WILL BE WORKING WITH THE TEXTS, ANALYZING THEMES AND TEXTUAL EVIDENCE TO SUPPORT THOSE THEMES. 1.) Did you feel that the books fulfilled your expectations? Were you satisfied or disappointed with the books as a whole? Explain. 2.) How did the books compare to other books by the author or other books read this year? 3.) What were some captivating characters, events or other details that you will remember in the future? 4.) How would you depict Oscar Wilde's style as depicted in The Picture of Dorian Gray and The Importance of Being Earnest? Refer to the Victorian Era of the 1890's and Wilde's biography. 5.) Since One Flew Over the Cuckoo's Nest was written in 1962, what's typical of the time period as depicted in this novel? Is there a new discussion question that you'd like to pose? How can we effectively prepare for the AP free-response essay portion and the multiple-choice question section of the exam? TOMORROW, PLEASE BRING IN BOTH NOVELS: THE PICTURE OF DORIAN GRAY AND ONE FLEW OVER THE CUCKOO'S NEST. WE WILL BE WORKING WITH THE TEXTS, PRACTICING AP TEST PREP. 5.) Since One Flew Over the Cuckoo's Nest was written in 1962, what's typical of the time period as depicted in this novel? How can we effectively prepare for the AP free-response essay portion and the multiple-choice question section of the exam? TOMORROW, PLEASE BRING IN BOTH NOVELS: THE PICTURE OF DORIAN GRAY AND ONE FLEW OVER THE CUCKOO'S NEST. WE WILL BE WORKING WITH THE TEXTS, PRACTICING AP TEST PREP. Monday, March 31st, 2014: 1. Do Now: Finish last week's analysis of question types in the multiple-choice question section of the AP Exam: finish using pp. 35-36 (key words and phrases for prose and poetry multiple-choice questions), identify question types (factual, technical, analytical, or inferential) for each of the questions on pp. 48-54. You may work in groups. Be ready to share. In your groups, with your assigned questions from pp. 48-54, be ready to explain why those questions fit the question types. *Turn in study guides (if not sent electronically). How can we effectively prepare for the AP free-response essay portion and the multiple-choice question section of the exam? TOMORROW, PLEASE BRING IN BOTH NOVELS: THE PICTURE OF DORIAN GRAY AND ONE FLEW OVER THE CUCKOO'S NEST. WE WILL BE WORKING WITH THE TEXTS, PRACTICING AP TEST PREP. SUMMARY POEM (you may work with a partner) for one of the works of literature studied this year. The requirements include the following: you must rhyme in couplets (every two lines rhyme; aa bb cc dd ee ff gg), you must write 14 lines (7 couplets), and you must summarize the entire book (play or novel), from beginning to end. SIMILARITIES AMONG TEXTS LEARNED THIS YEAR: identifying 5 similarities between authors' lives, a minimum of 5 similarities between themes from the literary works, a minimum of 5 similarities between genres of the literary works and a minimum of 5 similarities between works of literature from each of the following time periods in literature: 1600's, 1700's 1800's, and 1900's). 2. Finish last week's analysis of question types in the multiple-choice question section of the AP Exam: finish using pp. 35-36 (key words and phrases for prose and poetry multiple-choice questions), identify question types (factual, technical, analytical, or inferential) for each of the questions on pp. 48-54. You may work in groups. Be ready to share. In your groups, with your assigned questions from pp. 48-54, be ready to explain why those questions fit the question types. 3. HW Reminder How can we effectively prepare for the AP free-response essay portion and the multiple-choice question section of the exam? DUE THIS MONDAY, MARCH 31st: INDEPENDENT READING NOVELS--You will read the following two novels over the next three weeks. You will create a two-page study guide for each novel. Please REMEMBER to analyze the literary terms (the analytical focus) and the themes (thematic focus) and WHY THEY ARE IMPORTANT TO THE NOVEL AS A WHOLE (author's purpose). Please DO NOT copy from each other or the internet. For The Picture of Dorian Gray (class copy available) (Wilde)=Analytical Focus: imagery, tone, and foreshadowing and Thematic Focus: societal expectations, morality, art for art's sake, and deception; For One Flew Over the Cuckoo's Nest (class copy available) (Kesey)=Analytical Focus: point of view, diction, tone, symbolism, figurative language and Thematic Focus: oppression and manipulation. ALL CLASSWORK (From Ms. Conn's absence) SHOULD BE COMPLETED AND TURNED IN (SUMMARY POEM AND SIMILARITIES AMONG THE TEXTS STUDIED THIS YEAR) TODAY (If necessary, e-mail Ms. Conn and explain the reasoning for lateness). Work on unfinished classwork from previous days (summary poem, identifying 5 similarities between authors' lives, a minimum of 5 similarities between themes from the literary works, a minimum of 5 similarities between genres of the literary works and a minimum of 5 similarities between works of literature from each of the following time periods in literature: 1600's, 1700's 1800's, and 1900's) and independent reading and study guides due on Monday. How can we effectively prepare for the AP free-response essay portion of the exam? BE READY TO TURN IN ALL CLASSWORK GIVEN SINCE MS. CONN'S ABSENCE. SHE WILL HOPEFULLY RETURN TO SCHOOL, TOMORROW, THURSDAY, MARCH 27th. DATE CHANGE: DUE MONDAY, MARCH 31st: INDEPENDENT READING NOVELS--You will read the following two novels over the next three weeks. You will create a two-page study guide for each novel. Please REMEMBER to analyze the literary terms (the analytical focus) and the themes (thematic focus) and WHY THEY ARE IMPORTANT TO THE NOVEL AS A WHOLE (author's purpose). Please DO NOT copy from each other or the internet. For The Picture of Dorian Gray (class copy available) (Wilde)=Analytical Focus: imagery, tone, and foreshadowing and Thematic Focus: societal expectations, morality, art for art's sake, and deception; For One Flew Over the Cuckoo's Nest (class copy available) (Kesey)=Analytical Focus: point of view, diction, tone, symbolism, figurative language and Thematic Focus: oppression and manipulation. Tuesday, March 25th, 2014: Work Period: Compose a SUMMARY POEM (you may work with a partner) for one of the works of literature studied this year. Be ready to show and share tomorrow. If you don't finish it in class, finish it at home and bring it in tomorrow. The requirements include the following: you must rhyme in couplets (every two lines rhyme; aa bb cc dd ee ff gg), you must write 14 lines (7 couplets), and you must summarize the entire book (play or novel), from beginning to end. 11.) One Flew Over the Cuckoo's Nest by Ken Kesey (1962) How can we effectively prepare for the AP free-response essay portion of the exam? BE READY TO TURN IN TODAY'S CLASSWORK (A SUMMARY POEM) TOMORROW, WEDNESDAY, MARCH 26th. Monday, March 24th, 2014: Work Period: READ YOUR INDEPENDENT NOVEL OR FINISH FRIDAY'S CLASSWORK FOUND HERE: Analyze the list of all of the authors/poets read this year, thus far. Identify a minimum of 5 similarities between authors' lives, a minimum of 5 similarities between themes from the literary works, a minimum of 5 similarities between genres of the literary works and a minimum of 5 similarities between each of the following time periods in literature: 1600's, 1700's 1800's, and 1900's. 11.) One Flew Over the Cuckoo's Nest by Ken Kesey (1962) How can we effectively prepare for the AP exam? BE READY TO DISCUSS TODAY'S CLASSWORK TOMORROW, TUESDAY, MARCH 25th. Friday, March 21st, 2014: Work Period: Analyze the list of all of the authors/poets read this year, thus far. Identify a minimum of 5 similarities between authors' lives, a minimum of 5 similarities between themes from the literary works, a minimum of 5 similarities between genres of the literary works and a minimum of 5 similarities between each of the following time periods in literature: 1600's, 1700's 1800's, and 1900's. 11.) One Flew Over the Cuckoo's Nest by Ken Kesey (1962) How can we effectively prepare for the AP exam? BE READY TO DISCUSS TODAY'S CLASSWORK ON MONDAY. Thursday, March 20th, 2014: Work Period: Read your independent novel or AP material. How can we effectively prepare for the AP exam? DATE CHANGE: DUE MONDAY, MARCH 31st: INDEPENDENT READING NOVELS--You will read the following two novels over the next three weeks. You will create a two-page study guide for each novel. Please REMEMBER to analyze the literary terms (the analytical focus) and the themes (thematic focus) and WHY THEY ARE IMPORTANT TO THE NOVEL AS A WHOLE (author's purpose). Please DO NOT copy from each other or the internet. For The Picture of Dorian Gray (class copy available) (Wilde)=Analytical Focus: imagery, tone, and foreshadowing and Thematic Focus: societal expectations, morality, art for art's sake, and deception; For One Flew Over the Cuckoo's Nest (class copy available) (Kesey)=Analytical Focus: point of view, diction, tone, symbolism, figurative language and Thematic Focus: oppression and manipulation. Wednesday, March 19th, 2014: 1. Do Now: If necessary, finish using pp. 35-36 (key words and phrases for prose and poetry multiple-choice questions), identify question types (factual, technical, analytical, or inferential) for each of the questions on pp. 48-54. You may work in groups. Be ready to share. In your groups, with your assigned questions from pp. 48-54, be ready to explain why those questions fit the question types. 2. Review Do Now. How can we understand question types for the multiple-choice questions on the AP English Literature exam? DATE CHANGE: DUE MONDAY, MARCH 31st: INDEPENDENT READING NOVELS--You will read the following two novels over the next three weeks. You will create a two-page study guide for each novel. Please REMEMBER to analyze the literary terms (the analytical focus) and the themes (thematic focus) and WHY THEY ARE IMPORTANT TO THE NOVEL AS A WHOLE (author's purpose). Please DO NOT copy from each other or the internet. For The Picture of Dorian Gray (class copy available) (Wilde)=Analytical Focus: imagery, tone, and foreshadowing and Thematic Focus: societal expectations, morality, art for art's sake, and deception; For One Flew Over the Cuckoo's Nest (class copy available) (Kesey)=Analytical Focus: point of view, diction, tone, symbolism, figurative language and Thematic Focus: oppression and manipulation. Tuesday, March 18th, 2014: Work Period: Using pp. 35-36 (key words and phrases for prose and poetry multiple-choice questions), identify question types (factual, technical, analytical, or inferential) for each of the questions on pp. 48-54. You may work in groups. Be ready to share on Wednesday. How can we understand question types for the multiple-choice questions on the AP English Literature exam? DUE TOMORROW, WEDNESDAY, MARCH 19th: Be ready to share the classwork (see details in the Work Period). Monday, March 17th, 2014: 1. Do Now: Finish composing an outline for the High-Range Free-Response Essay (pp. 104-105). Take notes. 2. Work Period: Read one of your independent novels or read AP material (pp. 113-151). How can we deconstruct the AP free-response essay question and essay? DATE CHANGE: DUE MONDAY, MARCH 31st: INDEPENDENT READING NOVELS--You will read the following two novels over the next three weeks. You will create a two-page study guide for each novel. Please REMEMBER to analyze the literary terms (the analytical focus) and the themes (thematic focus) and WHY THEY ARE IMPORTANT TO THE NOVEL AS A WHOLE (author's purpose). Please DO NOT copy from each other or the internet. For The Picture of Dorian Gray (class copy available) (Wilde)=Analytical Focus: imagery, tone, and foreshadowing and Thematic Focus: societal expectations, morality, art for art's sake, and deception; For One Flew Over the Cuckoo's Nest (class copy available) (Kesey)=Analytical Focus: point of view, diction, tone, symbolism, figurative language and Thematic Focus: oppression and manipulation. Friday, March 14th, 2014: 1. Do Now: Deconstruct the free-response essay question prompt (p. 98). 2. Work Period: Compose an outline for the High-Range Free-Response Essay (pp. 104-105). Take notes. How can we deconstruct the AP free-response essay question and essay? DATE CHANGE: DUE MONDAY, MARCH 31st: INDEPENDENT READING NOVELS--You will read the following two novels over the next three weeks. You will create a two-page study guide for each novel. Please REMEMBER to analyze the literary terms (the analytical focus) and the themes (thematic focus) and WHY THEY ARE IMPORTANT TO THE NOVEL AS A WHOLE (author's purpose). Please DO NOT copy from each other or the internet. For The Picture of Dorian Gray (class copy available) (Wilde)=Analytical Focus: imagery, tone, and foreshadowing and Thematic Focus: societal expectations, morality, art for art's sake, and deception; For One Flew Over the Cuckoo's Nest (class copy available) (Kesey)=Analytical Focus: point of view, diction, tone, symbolism, figurative language and Thematic Focus: oppression and manipulation. Thursday, March 13th, 2014: 1. Do Now: Finish analyzing the contents of the high-range poetry essay (student essay A) on pp. 88-89. Examine each sentence and how it supports the question prompt. 2. Discuss/Review Do Now with class. Take notes. 3. Self-Assessment: Using your poetry essays, analyze the areas needing improvement, based on the high-range poetry essay. In each paragraph, identify what you need to work on. How can we deconstruct the AP poetry-passage essay? DATE CHANGE: DUE MONDAY, MARCH 31st: INDEPENDENT READING NOVELS--You will read the following two novels over the next three weeks. You will create a two-page study guide for each novel. Please REMEMBER to analyze the literary terms (the analytical focus) and the themes (thematic focus) and WHY THEY ARE IMPORTANT TO THE NOVEL AS A WHOLE (author's purpose). Please DO NOT copy from each other or the internet. For The Picture of Dorian Gray (class copy available) (Wilde)=Analytical Focus: imagery, tone, and foreshadowing and Thematic Focus: societal expectations, morality, art for art's sake, and deception; For One Flew Over the Cuckoo's Nest (class copy available) (Kesey)=Analytical Focus: point of view, diction, tone, symbolism, figurative language and Thematic Focus: oppression and manipulation. Wednesday, March 12th, 2014: 1. Do Now: Analyze the contents of the high-range poetry essay (student essay A) on pp. 88-89. Examine each sentence and how it supports the question prompt. 3. Review answers to the AP English Literature Exam on Strategies for the Essays How can we deconstruct the AP poetry-passage essay? DATE CHANGE: DUE MONDAY, MARCH 31st: INDEPENDENT READING NOVELS--You will read the following two novels over the next three weeks. You will create a two-page study guide for each novel. Please REMEMBER to analyze the literary terms (the analytical focus) and the themes (thematic focus) and WHY THEY ARE IMPORTANT TO THE NOVEL AS A WHOLE (author's purpose). Please DO NOT copy from each other or the internet. For The Picture of Dorian Gray (class copy available) (Wilde)=Analytical Focus: imagery, tone, and foreshadowing and Thematic Focus: societal expectations, morality, art for art's sake, and deception; For One Flew Over the Cuckoo's Nest (class copy available) (Kesey)=Analytical Focus: point of view, diction, tone, symbolism, figurative language and Thematic Focus: oppression and manipulation. Tuesday, March 11th, 2014: 1. Do Now: Finish analyzing the contents of the high-range essay (student essay A) on pp. 71-72. Examine each sentence and how it supports the question prompt. 2. Discuss/Review Do Now with class. Take notes. Prepare to compare/contrast with students' prose passage essays. 3. Analyze the previous years' prose passage essay questions and examine the different parts of each assigned essay question. 4. Examine your own prose-passage essay on "The Dead" and compare/contrast it to the high-range essay. What are your strengths and what areas do you need to improve? How can we deconstruct the AP prose-passage essay? DUE FRIDAY, MARCH 28th: INDEPENDENT READING NOVELS--You will read the following two novels over the next three weeks. You will create a two-page study guide for each novel. Please REMEMBER to analyze the literary terms (the analytical focus) and the themes (thematic focus) and WHY THEY ARE IMPORTANT TO THE NOVEL AS A WHOLE (author's purpose). Please DO NOT copy from each other or the internet. For The Picture of Dorian Gray (class copy available) (Wilde)=Analytical Focus: imagery, tone, and foreshadowing and Thematic Focus: societal expectations, morality, art for art's sake, and deception; For One Flew Over the Cuckoo's Nest (class copy available) (Kesey)=Analytical Focus: point of view, diction, tone, symbolism, figurative language and Thematic Focus: oppression and manipulation. Monday, March 10th, 2014: 1. Do Now: Analyze the contents of the high-range essay (student essay A) on pp. 71-72. Examine each sentence and how it supports the question prompt. 2. Discuss/Review Do Now with class. Take notes. Prepare to compare/contrast with students' prose passage essays. How can we deconstruct the AP prose-passage essay? DUE FRIDAY, MARCH 28th: INDEPENDENT READING NOVELS--You will read the following two novels over the next three weeks. You will create a two-page study guide for each novel. Please REMEMBER to analyze the literary terms (the analytical focus) and the themes (thematic focus) and WHY THEY ARE IMPORTANT TO THE NOVEL AS A WHOLE (author's purpose). Please DO NOT copy from each other or the internet. For The Picture of Dorian Gray (class copy available) (Wilde)=Analytical Focus: imagery, tone, and foreshadowing and Thematic Focus: societal expectations, morality, art for art's sake, and deception; For One Flew Over the Cuckoo's Nest (class copy available) (Kesey)=Analytical Focus: point of view, diction, tone, symbolism, figurative language and Thematic Focus: oppression and manipulation. Friday, March 7th, 2014: 1. Do Now: EXAM on pp. 59-108 in the AP English Literature preparatory book. 2. Work Period: Work on the HW. What are the most effective strategies that you can use for the AP essays? DUE FRIDAY, MARCH 28th: INDEPENDENT READING NOVELS--You will read the following two novels over the next three weeks. You will create a two-page study guide for each novel. Please REMEMBER to analyze the literary terms (the analytical focus) and the themes (thematic focus) and WHY THEY ARE IMPORTANT TO THE NOVEL AS A WHOLE (author's purpose). Please DO NOT copy from each other or the internet. For The Picture of Dorian Gray (class copy available) (Wilde)=Analytical Focus: imagery, tone, and foreshadowing and Thematic Focus: societal expectations, morality, art for art's sake, and deception; For One Flew Over the Cuckoo's Nest (class copy available) (Kesey)=Analytical Focus: point of view, diction, tone, symbolism, figurative language and Thematic Focus: oppression and manipulation. Review and take notes on the strategies for the free-response essay on pp. 93-108. Take notes on the teacher's elaborations of the test prep book's strategies. 2. Work Period: Compose one multiple-choice question (with five answer choices, and circle the correct answer) for the strategies for the poetry or free-response essay. Study strategies for the prose-passage essay on pp. 59-76. Study notes on the teacher's elaborations of the test prep book's strategies. Study strategies for the poetry essay on pp. 77-91. Study notes on the teacher's elaborations of the test prep book's strategies. Study strategies for the free-response essay on pp. 93-108. Study notes on the teacher's elaborations of the test prep book's strategies. DUE FRIDAY, MARCH 28th: INDEPENDENT READING NOVELS--You will read the following two novels over the next three weeks. You will create a two-page study guide for each novel. Please REMEMBER to analyze the literary terms (the analytical focus) and the themes (thematic focus) and WHY THEY ARE IMPORTANT TO THE NOVEL AS A WHOLE (author's purpose). Please DO NOT copy from each other or the internet. For The Picture of Dorian Gray (class copy available) (Wilde)=Analytical Focus: imagery, tone, and foreshadowing and Thematic Focus: societal expectations, morality, art for art's sake, and deception; For One Flew Over the Cuckoo's Nest (class copy available) (Kesey)=Analytical Focus: point of view, diction, tone, symbolism, figurative language and Thematic Focus: oppression and manipulation. Review and take notes on the strategies for the poetry essay on pp. 77-91. Take notes on the teacher's elaborations of the test prep book's strategies. Continue review of strategies for the prose-passage essay on pp. 59-76. Take notes on the teacher's elaborations of the test prep book's strategies. 2. Work Period: Compose one multiple-choice question (with five answer choices, and circle the correct answer) for the strategies for the poetry essay. What are the most effective strategies that you can use for the AP essays? IF ANYONE HAS PRINT-OUTS OF PREVIOUS DAYS' CLASSWORK AND HOMEWORK (FROM THIS WEBSITE, FEBRUARY 14TH AND PRIOR DATES), PLEASE BRING THEM TO MS. CONN NEXT WEEK. THANK YOU. 2. Work Period: Compose one multiple-choice question (with five answer choices, and circle the correct answer) for the strategies for each essay. What are the most effective strategies that you can use for the AP essays? IF ANYONE HAS PRINT-OUTS OF PREVIOUS DAYS' CLASSWORK AND HOMEWORK (FROM THIS WEBSITE, FEBRUARY 14TH AND PRIOR DATES), PLEASE BRING THEM TO MS. CONN NEXT WEEK. THANK YOU. Thursday, February 27th, 2014: 1. Do Now: Reflections on the HW essays, areas of writing/reading that you need to work on, and strategies that you found helpful from the AP prep book. 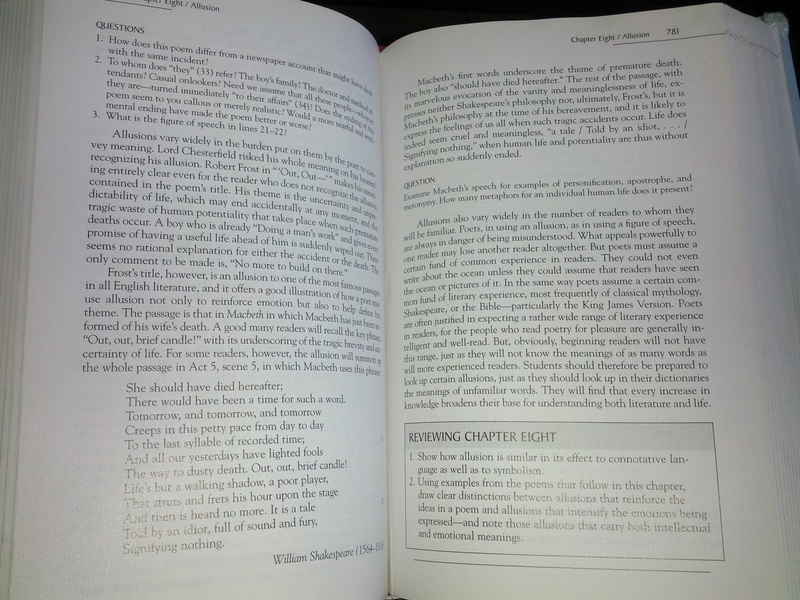 The composition of the three AP essays (prose-passage, poetry, and free-response), answering the essay questions on pp. 26-28. DO NOT TYPE (this is practice for the AP English Exam, so you MUST hand-write!). Suggested works of literature for the free-response (p. 28) include: A Doll's House, As You Like It, and Oedipus Rex. Use pp. 62, 79, and 98 to guide you in the timing break-down. 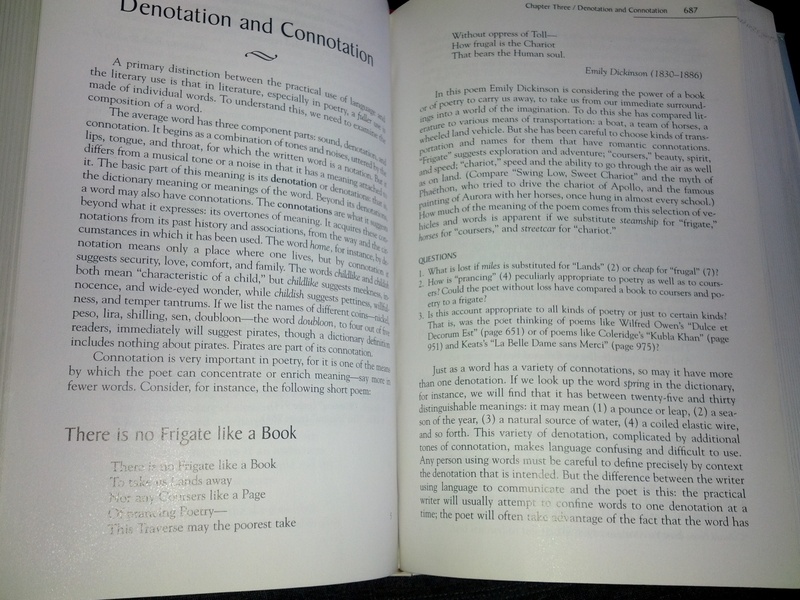 Discuss the prose-passage essay (question is on p. 26), and read pp. 59-76. What areas of reading/writing do you need to work on (now that you've read about the reading/writing process and sample, exemplary essays)? 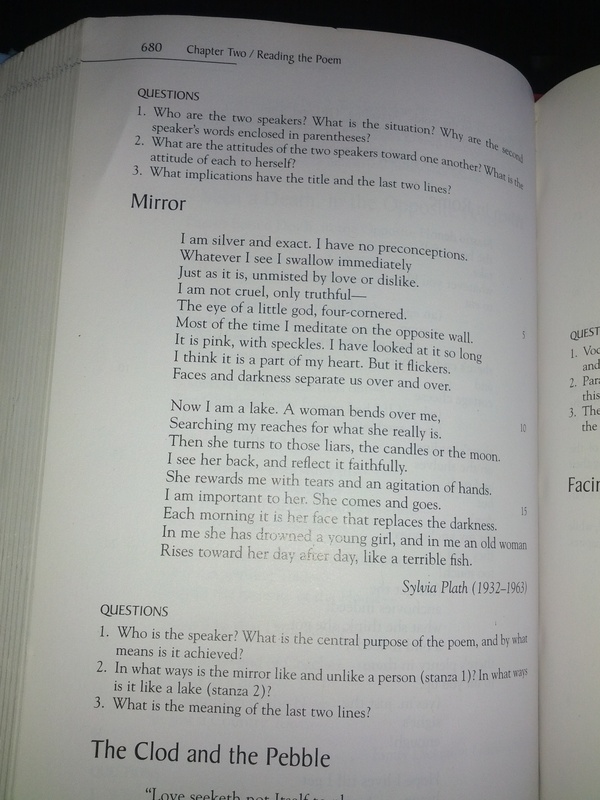 After composing the poetry essay (question is on p. 27), read pp. 77-91. What areas of reading/writing do you need to work on (now that you've read about the reading/writing process and sample, exemplary essays)? After composing the free-response essay (question is on p. 28), read pp. 93-108. What areas of reading/writing do you need to work on (now that you've read about the reading/writing process and sample, exemplary essays)? Wednesday, February 26th, 2014: 1. Do Now: Student groups will share their elaborations (using add, ask, argue and prove it sentence starters) and find corresponding page #s for each of the notes found here: Notes for "The Importance of Being Earnest"
2. Reflections on the HW essays, areas of writing/reading that you need to work on, and strategies that you found helpful from the AP prep book. Tuesday, February 25th, 2014: 1. Do Now: Student groups will share their elaborations (using add, ask, argue and prove it sentence starters) and find corresponding page #s for each of the notes found here: Notes for "The Importance of Being Earnest"
Monday, February 24th, 2014: 1. Do Now: Student groups will elaborate (using add, ask, argue and prove it sentence starters) and find corresponding page #s for each of the notes found here: Notes for "The Importance of Being Earnest"
Compose three AP essays (prose-passage, poetry, and free-response), answering the essay questions on pp. 26-28. DO NOT TYPE (this is practice for the AP English Exam, so you MUST hand-write!). 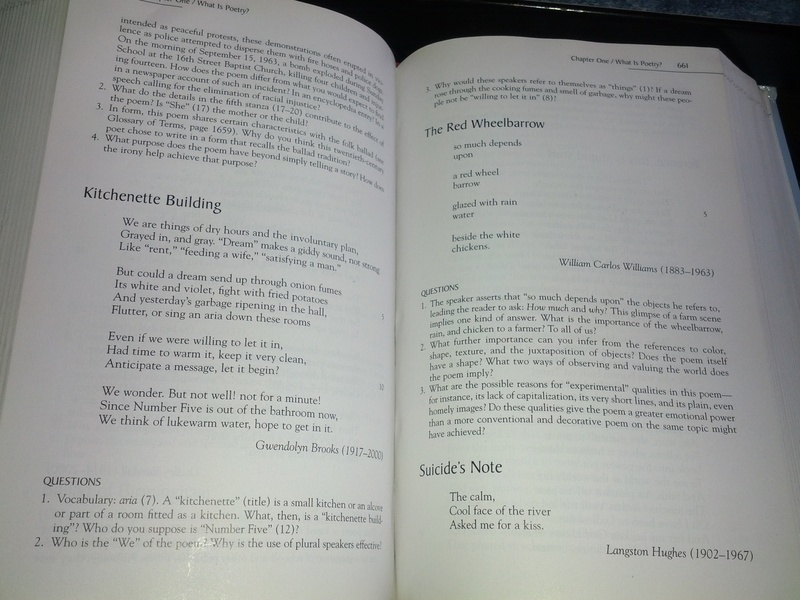 Suggested works of literature for the free-response (p. 28) include: A Doll's House, As You Like It, and Oedipus Rex. Use pp. 62, 79, and 98 to guide you in the timing break-down. 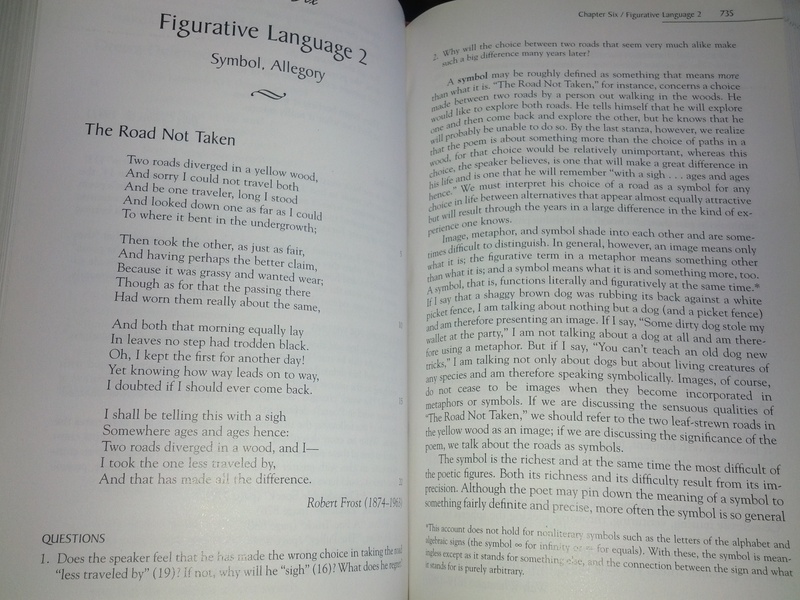 After composing the prose-passage essay (question is on p. 26), read pp. 59-76. What areas of reading/writing do you need to work on (now that you've read about the reading/writing process and sample, exemplary essays)? *What was the most useful strategy provided in this AP English Literature preparatory book? Be ready to share. Friday, February 14th, 2014: 1. Do Now: QUIZ on "The Importance of Being Earnest"